Do you like Action Heroes, Comics, and Super Heroes? Do you like to wear an apron or would wear one if you were able to share your love for those things? Do you like Cosplay or wearing Costumes? These items are perfect for you too! Wear over smple black or white outfits underneath and show your Cosplay style in fashion for your passion! Check out my new line of Action Aprons ™ and share your love in the kitchen, while cleaning, working on art or many other reasons to wear an apron. I also have a brand new line of Comic Cup Cozies for those who want to help their cup have an identity! These and other Comic Creations will be available at Capes Kafe soon! Want these items in your store, to buy wholesale or drop ship with your company? Contact me and lets work something out! Desire a Custom Creation for any of these type of items? I would love to! Contact me and let’s gt this party started!! Let’s just say I tried to make this recipe in my new cake pop maker and Pancakes are NOT the thing to cook in a Pop maker. I got this recipe from Deceptively Delicious and substituted the Pumpkin Puree for Applesauce. ** Makes 8 small to medium sized pancakes ** Tastes great with maple syrup ** Can make pancake batter the night before and refrigerate. 1. In a large bowl, mix the water, sweet potato puree, and cinnamon or pumpkin pie spice, if using. 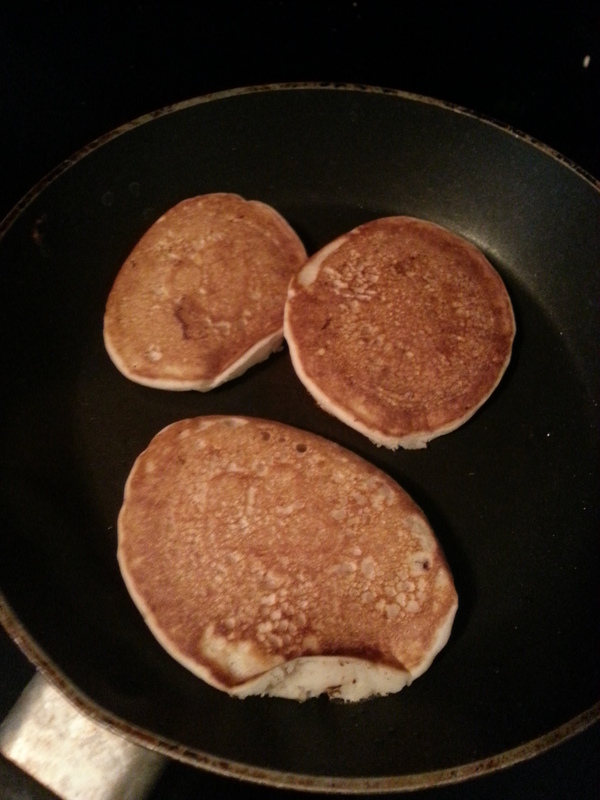 Add the pancake mix and stir just to combine – the batter should be lumpy. 2. Coat a griddle or large nonstick skillet with cooking spray and set it over medium-high heat. 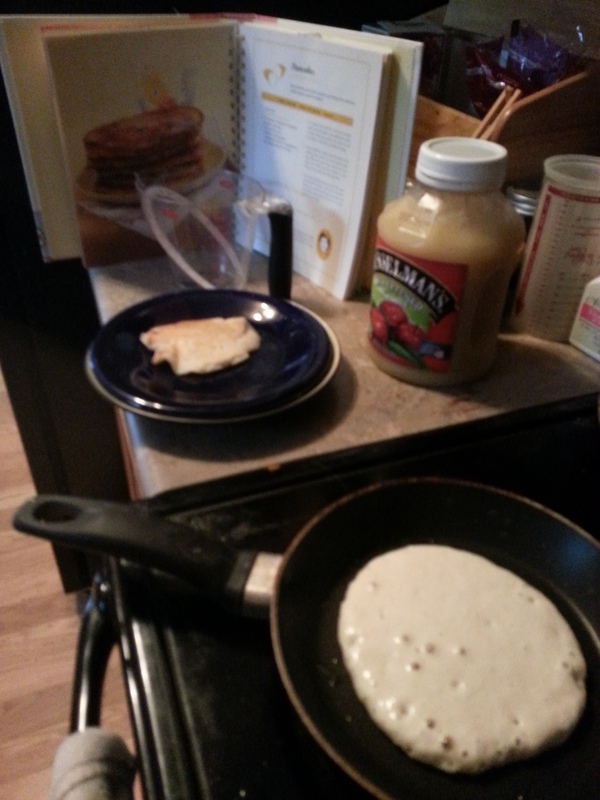 When the pan is hot, add the oil, and spoon the batter onto the griddle or pan, using 1/4 cup batter for each pancake. 3. Cook until bubbles form on top of the pancades and the batter is set, 2 to 3 minutes. 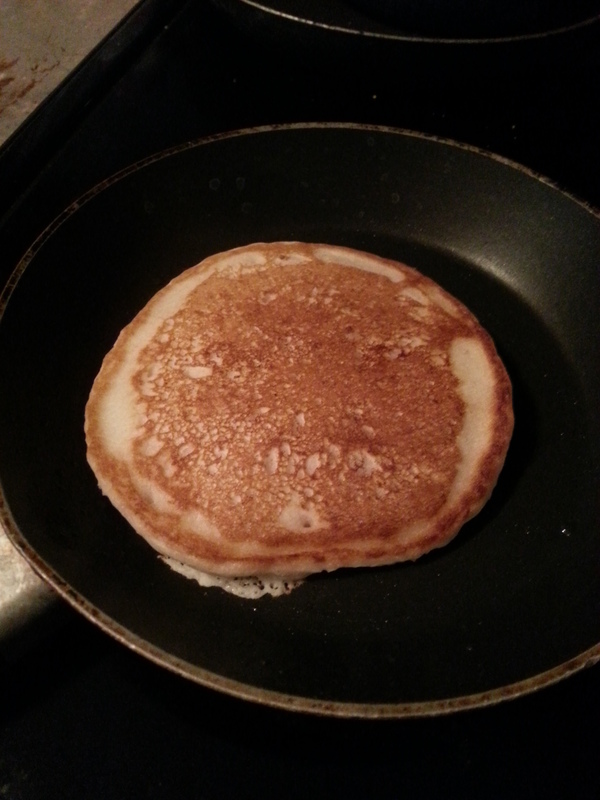 Then use a spatula to flip the pancakes and cook them until golden brown on the other side, 2 to 3 minutes. I hate Peanut Butter with mine and my hunney had Nutella.